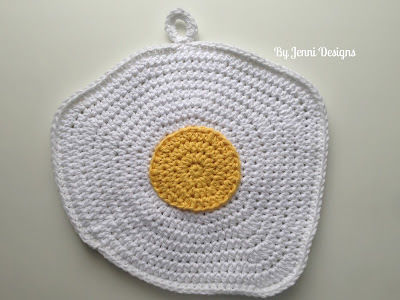 Want a little bread with your egg? 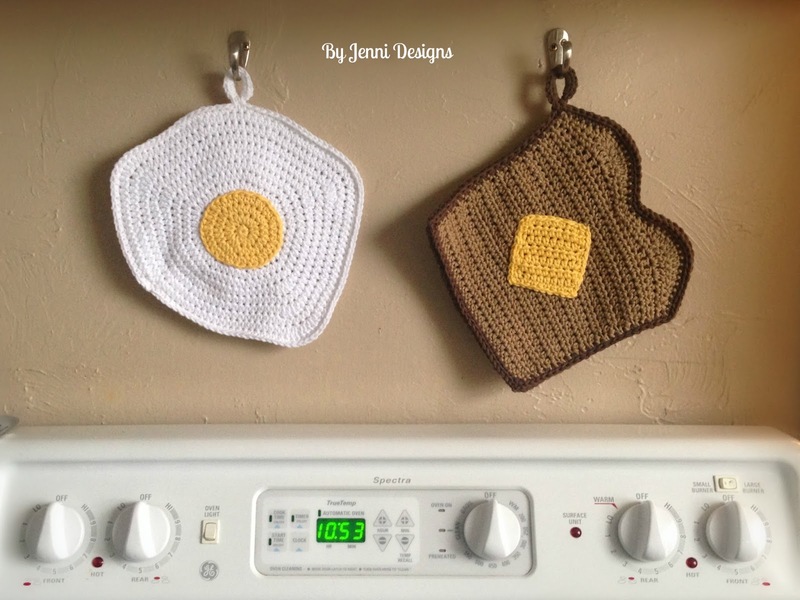 Make it a set with my new Toast Pot Holder! Finished Size: Approx. 9" x 8"
-At the end of each row it is very important to remember to move your stitch marker to the last stitch made to help you keep track of rows. 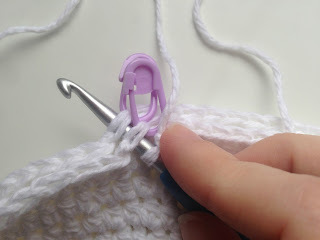 Place a stitch marker in last stitch made and continue to move it to the last stitch of every row. For this pattern you will not be joining, instead you will work in the round. 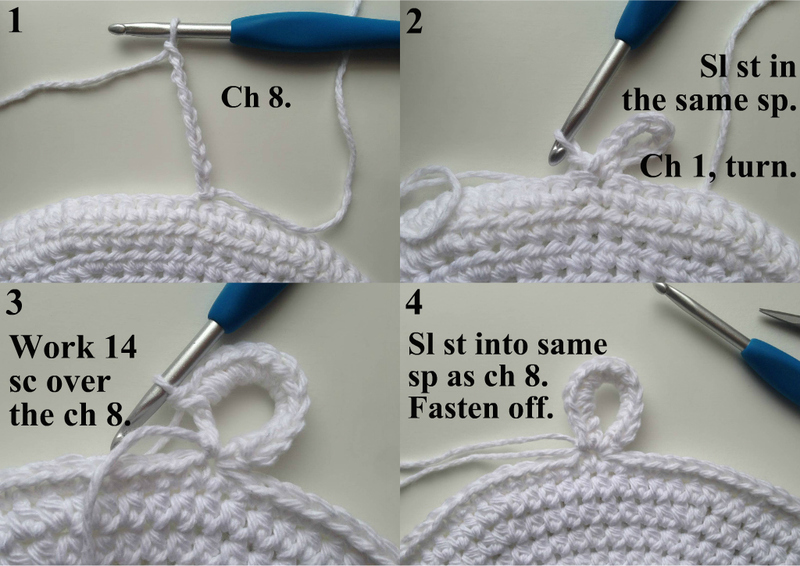 To work in the round your first stitches of row 2 should be worked into the very first sc you made in row 1. Fasten off but leave the stitch marker in the sl st space. After you have made both egg whites move on to the yolk pattern below. Row 5: Hdc in next, sc in next, loosely sl st in next. Leave remaining sp un-worked. Next you need to stack one egg on top of the other, lining up the stitch markers. Place the egg with the yolk on top. 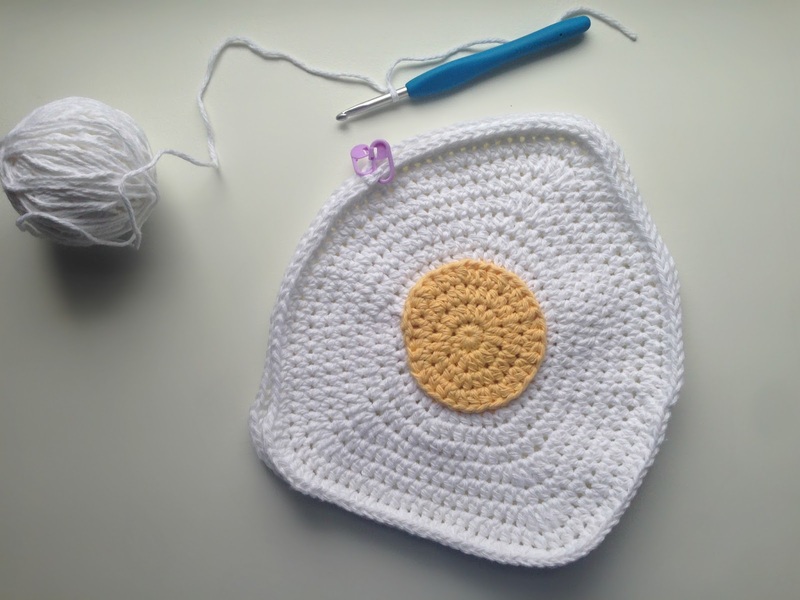 Now, holding together both egg whites, with the yolk facing you: Join with a sl st in the same spaces as the stitch markers on both egg whites. Ch 1, sc in same and in each around making sure you are working through all 4 loops. Join. To add a loop to your pot holder first decide where you would like the loop, if you are making 2 pot holders you may want to place your loops in different places to make the eggs look slightly different while hanging. For the pot holder I am using in this tutorial I worked in the 39th sp before the fasten off on the egg white. 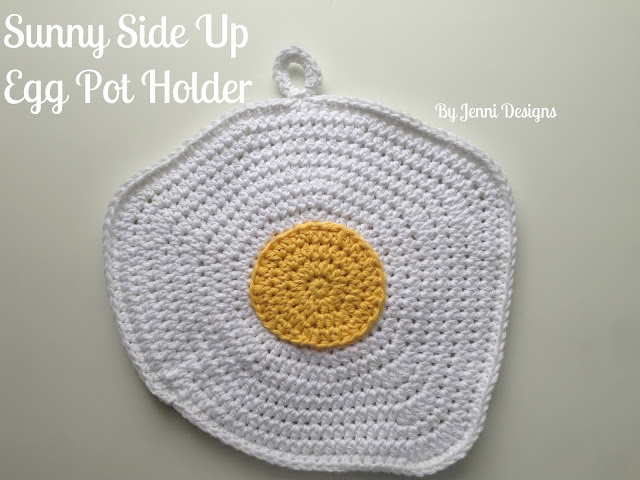 Turn pot holder over and join in your chosen sp on the back of the egg. Work the following into the sp you joined in: [Ch 8, sl st]. Ch 1, turn, work 14 sc over the ch, sl st into the same sp as the ch 8.